In March 2013 Ivan Misner, founder of BNI, wrote a SuccessNet article about this topic. 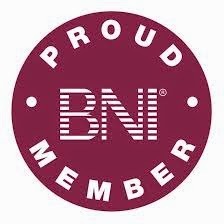 He told us of an 8 year member that was considering not renewing her BNI membership because of the time commitment. He went on to state how she looked into exactly how much business came as a result of BNI and was shocked to learn it was 80% of her existing clientele. Recently I visited a chapter where they were reviewing the results of a simple survey their chapter's Education Coordinator had conducted to help him better educate the chapter based on what they wanted. What a great idea!!! The survey was really quite simple. If you could make one change to our BNI chapter, what would it be? What would you like me to teach weekly during the Networking Education time? That's it... no other information was provided and members provided him their own words as their answers... So, what were the responses, and how was he going to use this, you ask? 40% of the chapter wanted more information and training on BNI Connect and 25% asked how to get more visitors. The conclusion of the Educational Coordinator was to spend one week each month talking about why and how to get more visitors. Another week would be spent on BNI Connect and other educational units, like podcasts, SuccessNet, this blog, etc. One week on maximizing the value of the BNI membership, and the final week having some fun, using BNI Meeting Stimulants. After 6 months, he plans to do the survey again. PLUS MANY, MANY MORE BENEFITS!